Every so often I dream of being an entrepreneur. I mean, just think 'Anna Vitiello - Entrepreneurial Genius' emblazoned across a very expensive looking banner because my exceedingly pleasing profit margin would allow for just that. With a real danger of sounding reputation-destroyingly self-absorbed I feel obliged to remind you all that this is just a dream, and in my dreams, I am an uncaring, too busy working business-type woman - because that's quite possibly the complete opposite of what I see in the mirror. But anyway, back to the subject matter in hand. I came across a genius new website that will be launching fully in the summer. They were looking for bloggers with whom they could collaborate and I jumped at the opportunity, naturally. 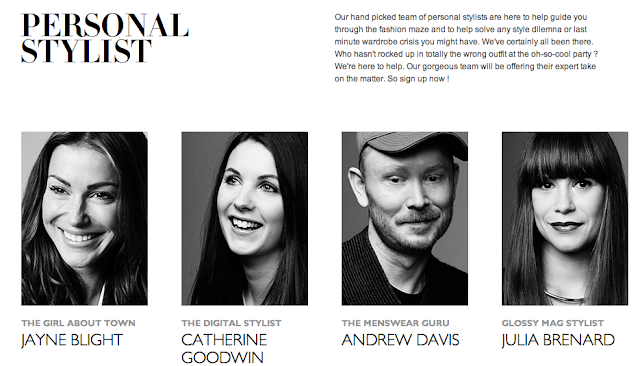 You only have to glance at the portrait-accompanied personal stylist page to understand the credibility with which this website is launching. In short, the intelligent people at Atelier-To-Go will fillet the fish and give us the meat. Or else they'll be sifting through the countless e-commerce digital racks and bring us an edit of the best pieces. You can sign up now as a founding member - worth doing as it has added benefits - though it isn't technically a member-only site. Plus, you'll hopefully be seeing a little of moi in the fashion features section - hurrah! Online shopping, personal stylist and digital magazine all-in-one. Entrepreneurial genius.